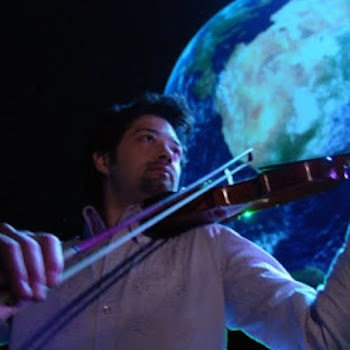 Kenji Williams is an award winning filmmaker, music producer, and classically-trained violinist. A world bridger of music, visual arts, science and philosophy, Williams has collaborated with Medicine Drum, John Digweed, Alex Grey, Scott Draves, Ken Wilber, and the Gates Planetarium Dome Theater in Denver. Pioneer, Panasonic, and Sony corporations have sponsored Kenji’s artistic vision. He has earned international film awards from the CSC to Sundance, and exhibited at the Smithsonian.